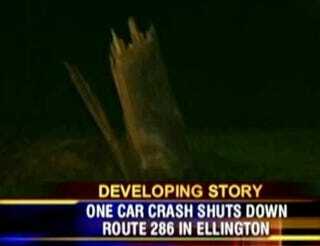 A Toyota Prius crashed into a utility pole around 1AM, knocking out power to 4,000 residents of Ellington, CT. The driver then fled the scene on foot. At least he was being green.